Made of the alloy ferrocerium, these rods have the property of producing very hot sparks when rubbed against a rough surface. The sparks are actually tiny flakes of molten ferrocerium with an extremely high temperature. Add a handle of your own design and you have your own unique fire starting kit. 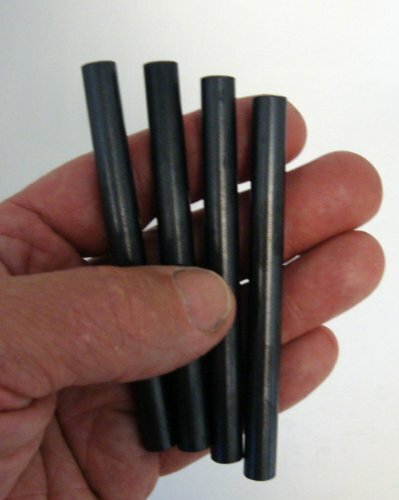 Pack of 4 extra large firesteel rods, 3/8 x 4 inch size, more effective striking area then smaller firesteels. Customize your own handles of bone, antler, hardwood etc. A great project for woodsmen of all ages! If you have any questions about this product by LabStock, contact us by completing and submitting the form below. If you are looking for a specif part number, please include it with your message.